Written by: Meg Lloyd, Librarian & Dr John Healy, Curator Marine Environments. As part of the forthcoming Deep Oceans exhibition (opening 28 March) we will be displaying the earliest printed book in the library’s collection – Guillaume Rondelet’s (1554) illustrated treatise on fish and marine life. This very rare and important book, held by the Queensland Museum Library and Archives, is famous for being the earliest attempt to scientifically document the most important fish, mammals and invertebrates known to Europeans at the time, and is widely considered the ‘beginning’ of modern ichthyology (the study of fish). Rondelet was a leading French anatomist in the 16th century, and had first-hand knowledge of many of the species he depicted. However he also chose to include in his book two bizarre ‘flights of fantasy’ – the Sea Monk and Sea Bishop – suggesting that he might have had a very wicked sense of humour! Come and see the Sea Monk and Sea Bishop and, as the great showman Phineas T Barnum would have said – “decide for yourself”. Deep Oceans is on from 28 March to 6 October. 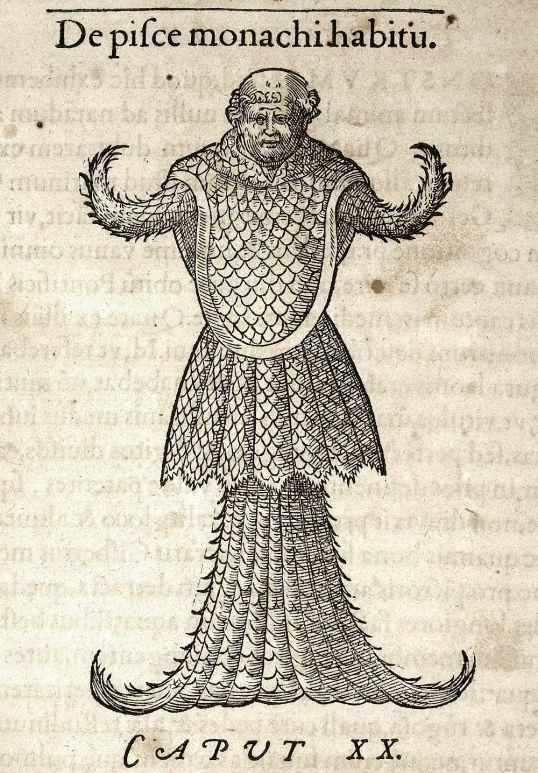 The “Sea Monk” featured in Rondelet’s 1554 illustrated treatise on fish and marine life. 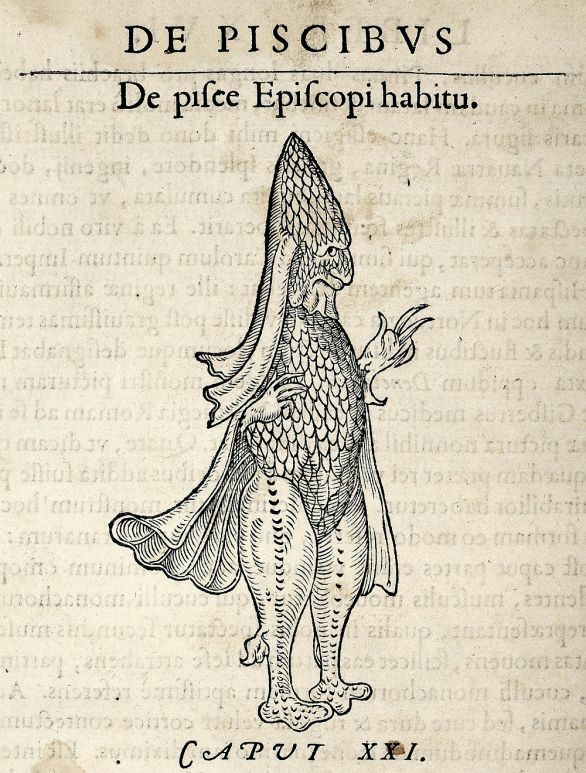 The “Sea Bishop” featured in Rondelet’s 1554 illustrated treatise on fish and marine life.